8. 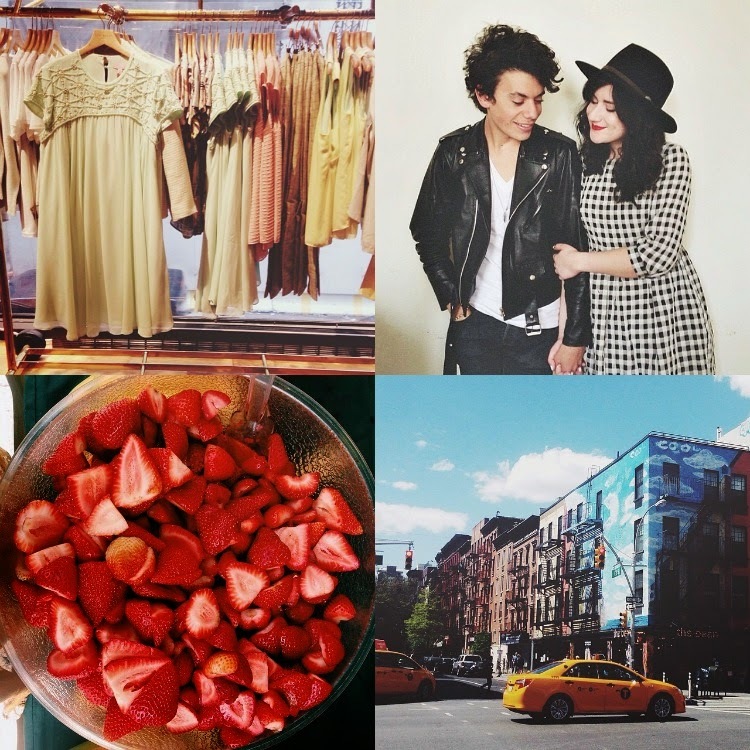 )Roaming around in my neighborhood, East Village, and loving every second. Hope everyone has been having a great week as well! 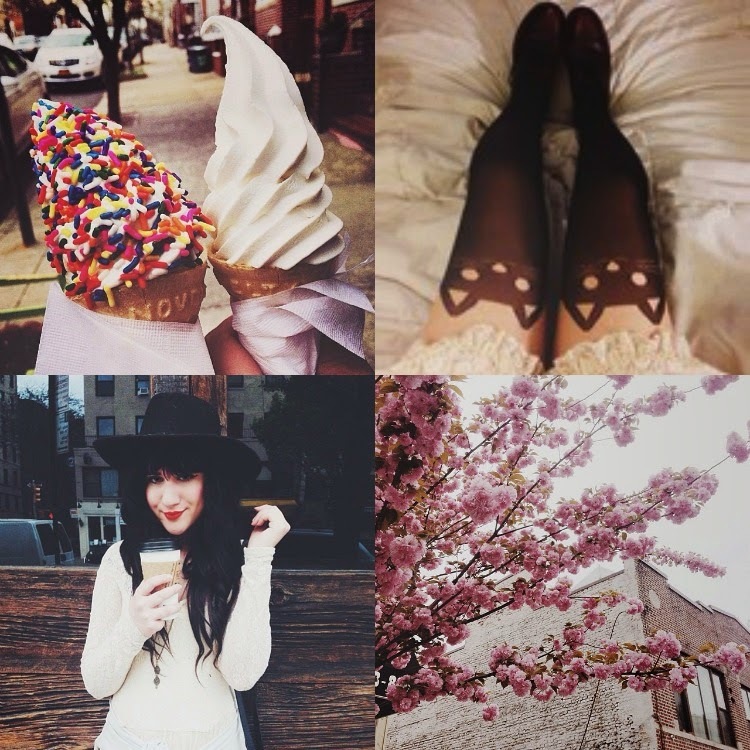 Cute photos!I love your instagram! wonderful shots! Who doesn't love Mr Softee? It has been a busy but wonderful week so far for me. I LOVE this time of year. Your photos are wonderfully uplifting and beautiful. The Mister softees and strawberries look delicious. The kitty tights, your hair, the blossoms, and your feminine clothes all look lovely! i love the aesthetic of your photos! those strawberries look so yummy! Great pics! The kitty tights are so cute! And your wardrobe is really cool! Have a great week ahead and can't wait your next post ! Also you two look adorable!